Today’s post is sponsored by Mezzetta, but my love for their delicious snacks is all my own! For me personally, Holidays always bring to mind food. We had two different table of goodies for the special gathering for the Holidays, which didn’t include the full dinner we’d also have. I remember my Dad when he was alive, loving the green olives and we always have to have them on our snack tables. Anytime I see those, I think of my Dad and his love for those and it makes me smile in memory. In our family, there wasn’t such a thing as too much food. As it would always get eaten or frozen to eat later. The more the merrier in every aspect of the Holiday. Which I have carried over to making my own parties and Holiday memories. 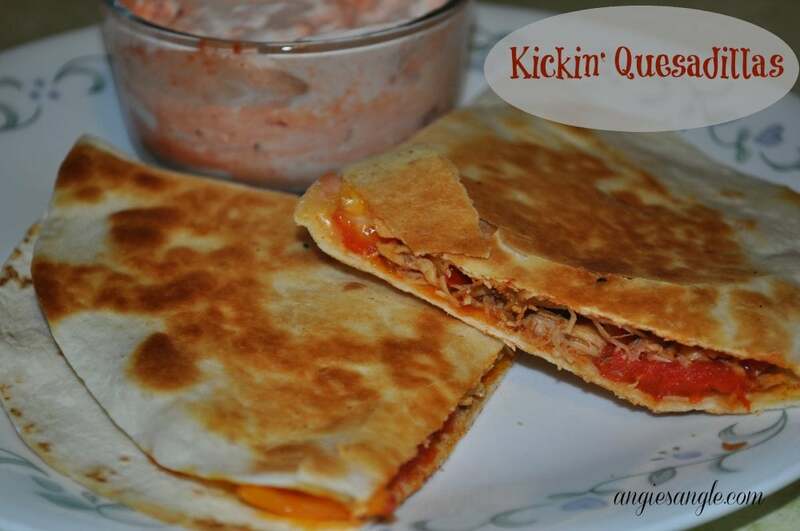 My husband and I made our very own Mezzetta Recipe with these Kickin’ Quesadillas. I am not the creative one in the kitchen, my husband is. He can throw together any type of dinner and it’ll most likely taste excellent. He won’t be able to make the same thing twice, exactly, but it’ll be close. I am amazed at the skills he has in the kitchen. Give me a recipe and I am okay, but there is no way I could be creative enough to create my own recipe. 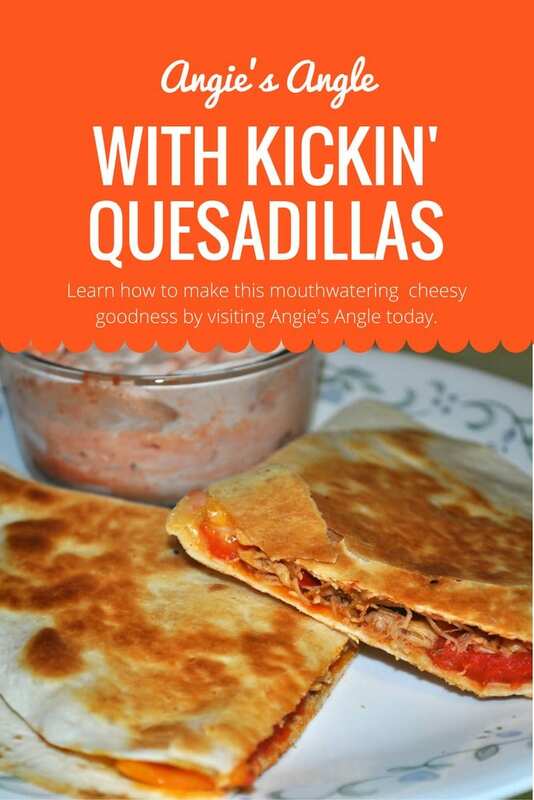 These Kickin’ Quesadillas made into a Mezzetta recipe are all my husband, so you can thank him for their yumminess, which indeed they are VERY yummy! It would make an excellent dinner or appetizer for your Holiday gatherings to make it a memorable addition. Making these are actually very easy, you only need a few things and only takes a few minutes to cook up. 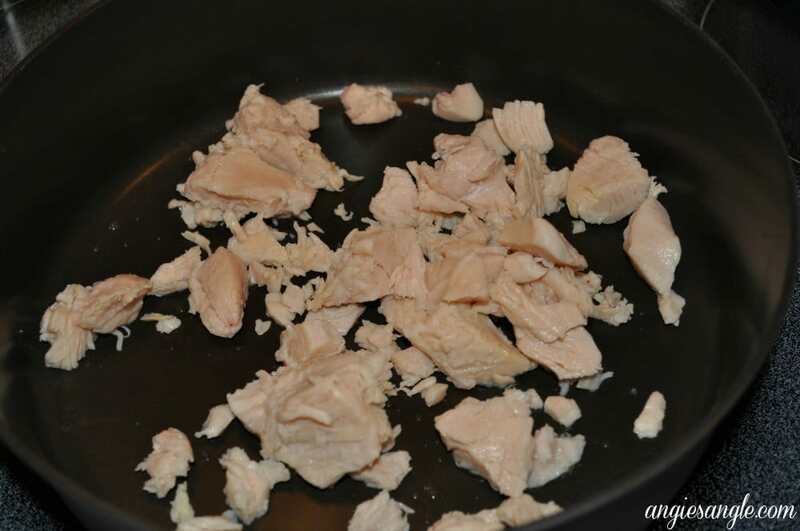 Add some oil to a frying pan and let it warm a bit and add your chicken to brown it up a bit (since it was canned chicken). As that is browning, chop up your vegetables (mini sweet peppers, mushrooms, and onions). 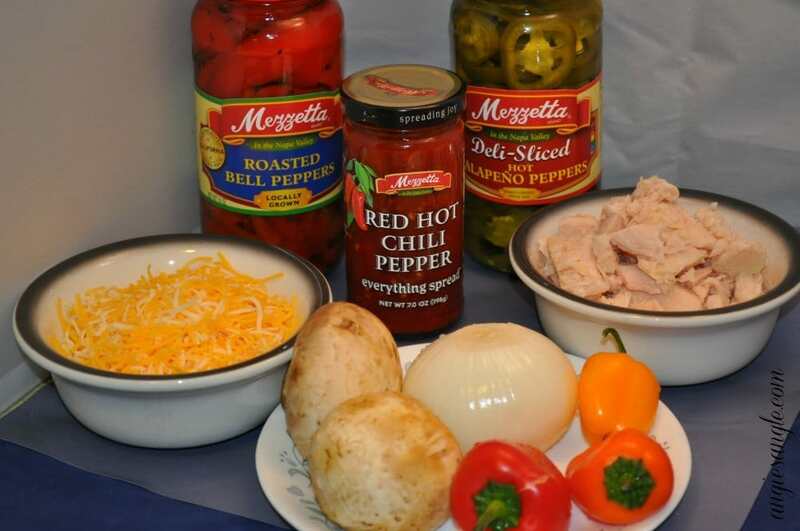 Once your chicken is browned, add 3 to 4 slices of the Mezzetta Bell Peppers, 10 or to taste of the Mezzetta Deli-Sliced Hot Jalapeno Peppers, 1 to 2 tablespoons of the Mezzetta Red Hot Chili Pepper Spread and to taste the Taco Seasoning. Stir those all together and cook a minute or two together. 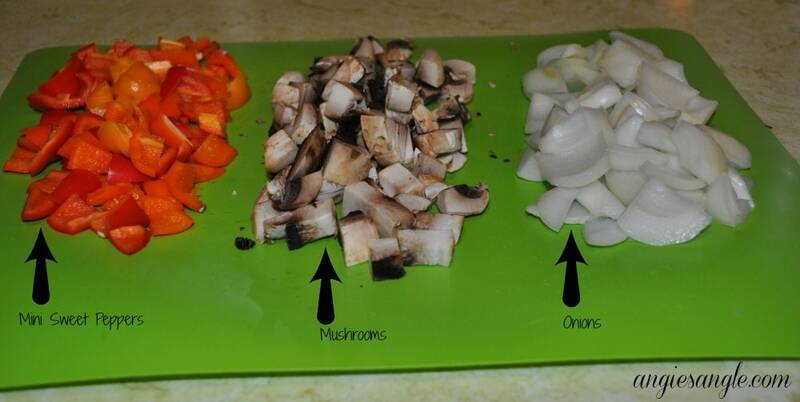 Then add in your vegetables – 2 mini sweet peppers, 2 small mushrooms, and onions to as you see fit. Stir again and let it cook together another minute or two. Once that mix is ready, time to fill. 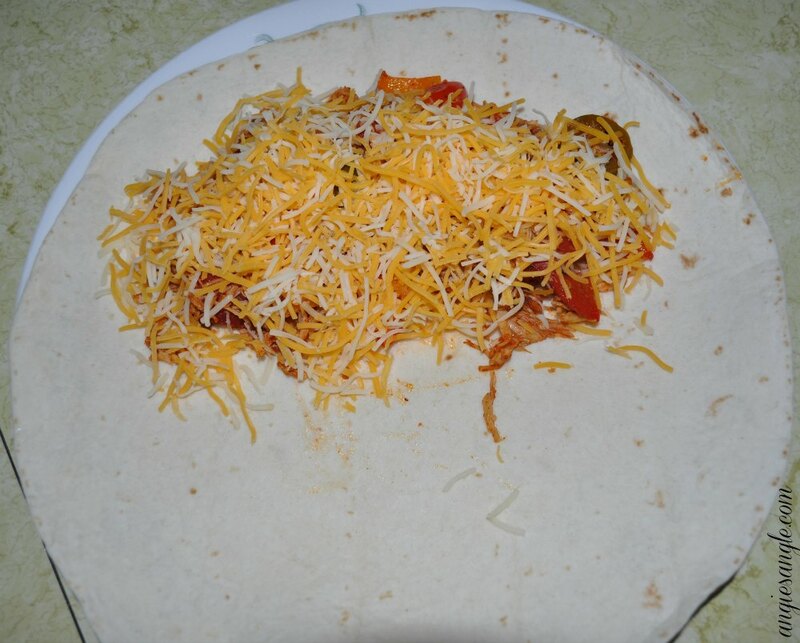 Spread half of a tortilla shell with filling and add some cheese on top of it. Grill each side of the quesadilla until browned. Then cut and serve. The optional sour cream side was just a mix of Jason’s that was some sour cream and the Mezzetta Red Hot Chili Pepper Spread, no real measurement there. 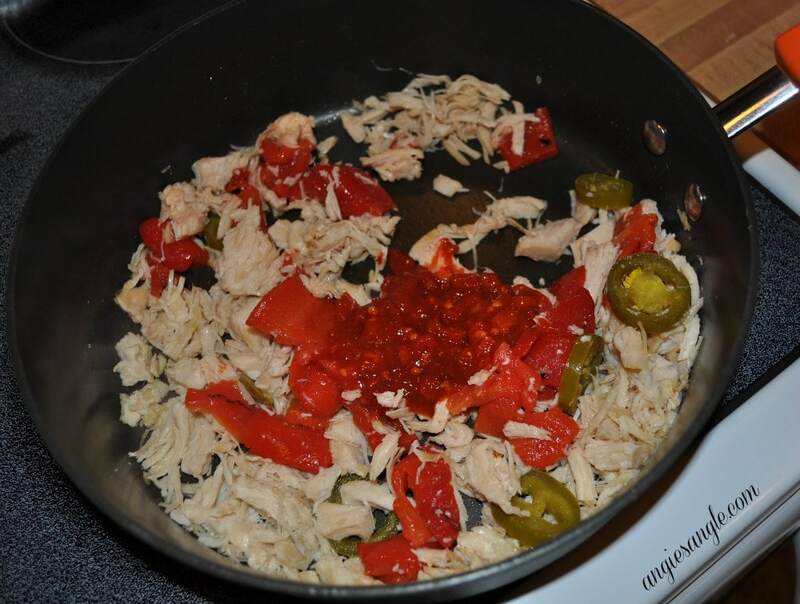 Once your chicken is browned, add 3 to 4 slices of the Mezzetta Bell Peppers, 10 or to taste of the Mezzetta Deli-Sliced Hot Jalapeno Peppers, 1 to 2 tablespoons of the Mezzetta Red Hot Chili Pepper Spread and to taste the Taco Seasoning. Stir those all together and cook a minute or two together. Then add in your vegetables - 2 mini sweet peppers, 2 small mushrooms, and onions to as you see fit. Stir again and let it cook together another minute or two. Once that mix is all ready. 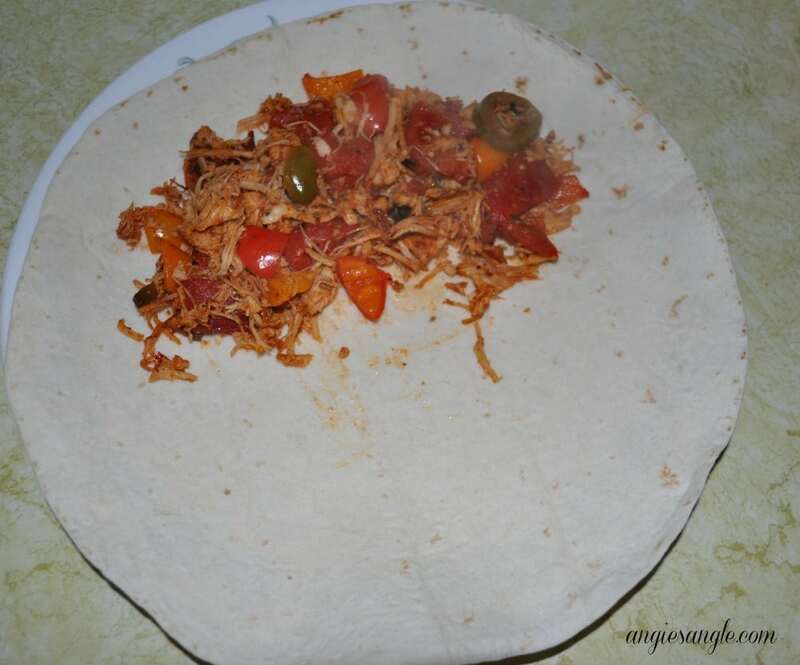 Fill half of a tortilla shell with filling and add some cheese on top of it. 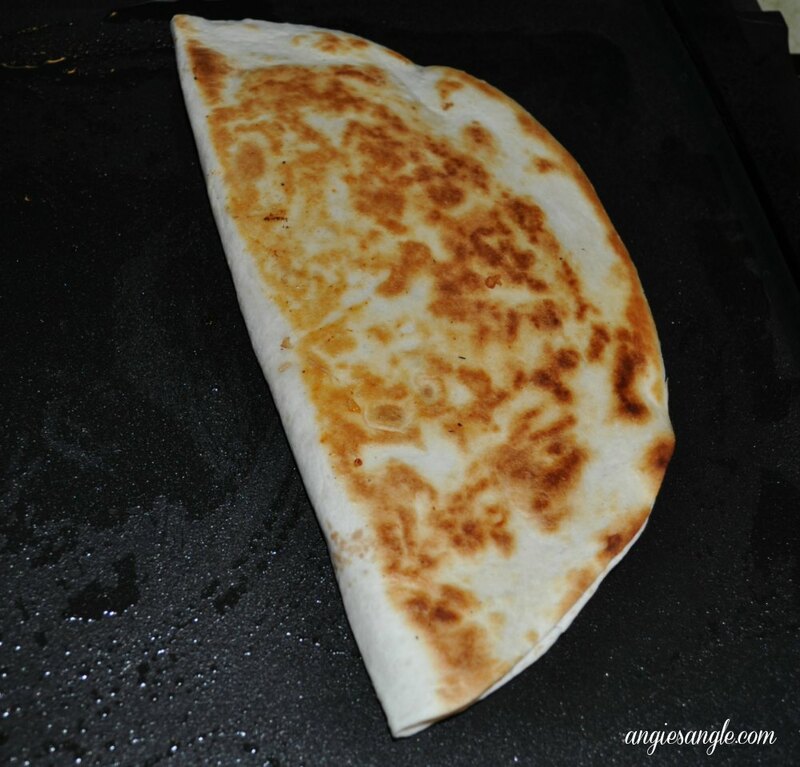 Grill each side of the quesadilla until browned. Then cut and serve. What are some of your Holiday memories when it comes to food? Any of them include Mezzetta? Or will be you making new Holiday memories with Mezzetta as I will?